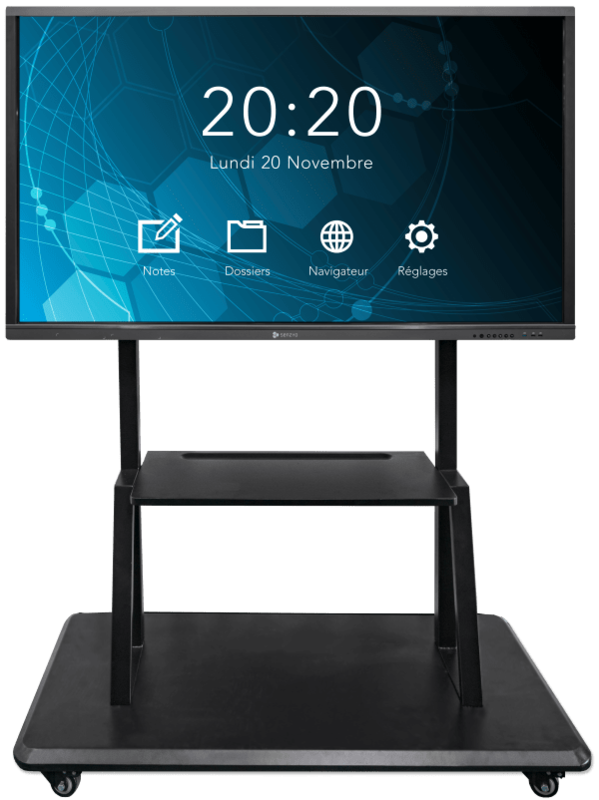 SENZYO - Collaborative Interactive Flat Panel ! Our interactive flat panels encourage exchanges and improve productivity. They have all the technologies needed for instant collaboration: touch function, note taking, recording, internet, lots of connection ports, professional software and much more. It’s a complete, intuitive and effective tool. All employees focus on the same work tool and write simultaneously on the screen. Meetings become engaging, productive, even with remote partners who can view the same content being shared. Use your tool as you want on Android or Windows. Find a familiar interface through the integration of the Android operating system with the same type of navigation and applications as tablets and smartphones. No more complications related to cable connections! Senzyo is ready in an instant. You no longer need to connect to share content. Access your documents directly from the screen or share them with your smartphone. SENZYO adapts to both the professional and the educational sectors. The technology that it integrates allows to adapt in any circumstance just like a computer or a tablet. Moreover, it does not require any specific technical or computer knowledge. It is a new working tool looking towards the future that makes exchanges more interactive and dynamic for users of all ages. Tell us your interest and we will contact you to make an appointment and a demonstration of our products. We work with partners of all sizes, so feel free to fill out the form so we can meet you.